Thanksgiving is a beloved but stressful time of year. For every slice of ethereal sweet potato pie, there’s an argument that breaks out between Aunt Myrtle and Uncle Barnabas about the Trump administration, and you know making a bowl of punch so you can enjoy a glass means you also run the risk of having to hold back Cousin Mervin’s silk tie as he hurls up the 10 glasses he indulged in post-dessert. The last thing we should have to worry about is food safety, but here we are. The Centers for Disease Control and Prevention has announced a multidrug-resistant salmonella outbreak connected to raw turkey is still going strong. The first hint of an outbreak was reported in July, but they say it now seems like this strain of salmonella “is present in live turkeys and in many types of raw turkey products, indicating it might be widespread in the turkey industry,” which is great news for those of us who are getting ready to shove our hands up a 20-pound bird in a week to get it ready for roasting. Since July, 74 more people in 26 states have fallen ill, for a total of 164 victims. Sixty-three of those have been hospitalized, and one person even died. The CDC says, “[I]ll people report eating different types and brands of turkey products purchased from many different locations,” and three of the ill people were infected from the raw turkey pet food they were giving their animals. So far, the strain of salmonella has been found in raw turkey pet food, raw turkey and live turkeys, and no single supplier is the sole culprit. 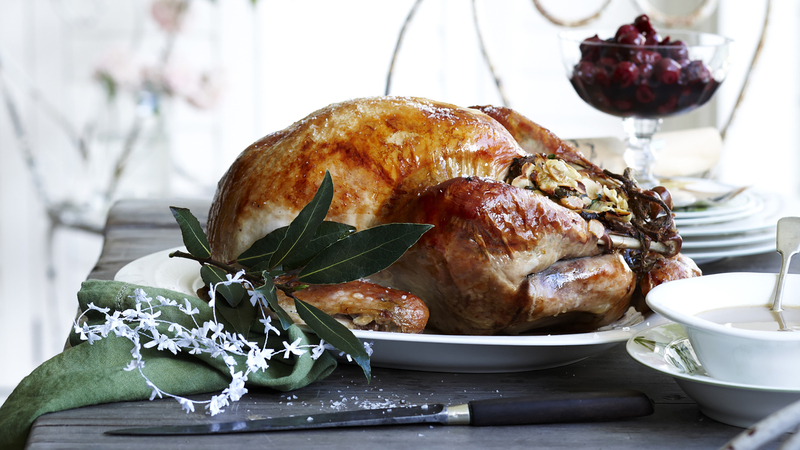 What can you do to avoid poisoning yourself, friends and family this holiday season? The CDC recommends you wash your hands before and after cooking, eating, using the bathroom and touching animals; that you cook all turkey products to 165 degrees F; that you should not wash your turkey before you cook it because it can spread the turkey germs; that you thaw turkey in your fridge, not on the counter; and that you thoroughly wash everything in your kitchen that comes into contact with raw turkey with soap and hot water. So, when your emo nephew Bryndon rolls his eyes and complains the turkey is dry at your Thanksgiving feast, just hand him the gravy boat and remind him he should be thanking you for saving his dang life by cooking that salmonella into oblivion.